Magic Leap on Wednesday revealed the name and design of its smart glasses. The company says the hardware will ship in 2018. Magic Leap didn't announce a price. 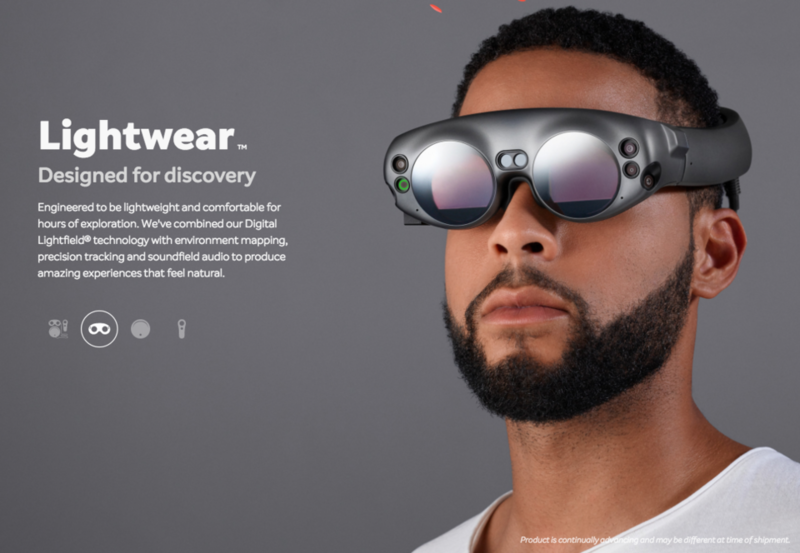 Magic Leap updated its website on Wednesday morning, revealing its highly anticipated augmented-reality smart glasses for the first time. Billed as the Magic Leap One Creator Edition, the smart glasses feature an array of sensors on the front, connected via a wire to a battery and computing pack designed to be worn on the belt, matching the details first reported by Business Insider earlier this year. A wireless controller is used as input. Magic Leap's glasses will integrate computer graphics into the real world, a technology often called "augmented reality" by other companies. Magic Leap calls its technology "mixed reality." 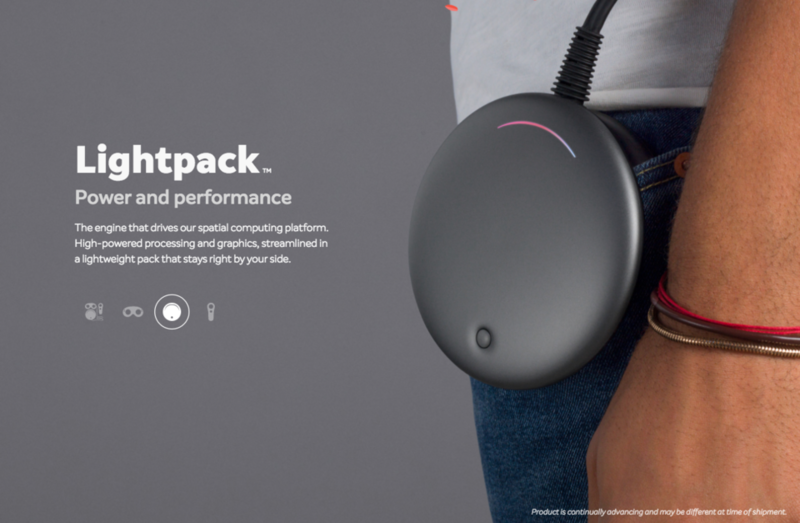 Magic Leap is calling its glasses Lightwear, the battery pack Lightpack, and the controller is called Control. Magic Leap's website says the headset will ship in 2018, adding that the "product is continually advancing and may be different at time of shipment." It's the first time Magic Leap has put a deadline on its product. 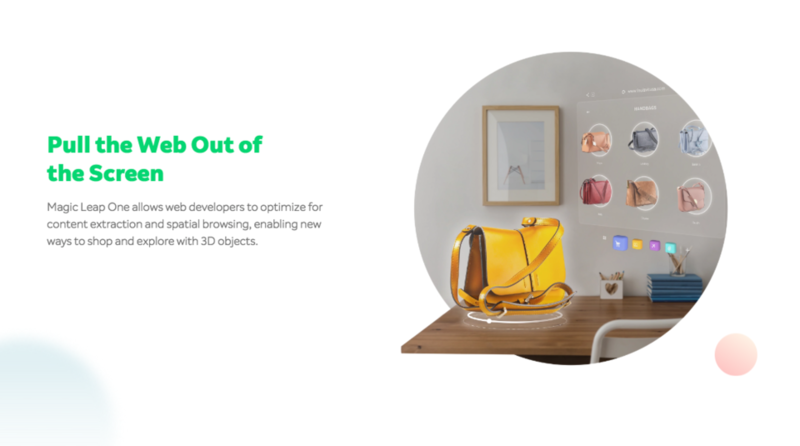 Magic Leap's site lists several use cases for the headset, including web browsing and shopping, opening up multiple virtual monitors and telepresence. That's in addition to the entertainment and gaming applications that Magic Leap has discussed in the past. "Here are some of the experiences we've been exploring, but they are just a jumping-off point," according to the company's site. "Our lightfield photonics generate digital light at different depths and blend seamlessly with natural light to produce lifelike digital objects that coexist in the real world." Magic Leap also came up with a software interface for its optics: "We live and think in a 3D world, not on a flat screen. Our spatial interface includes multiple input modes including voice, gesture, head pose and eye tracking." Magic Leap CEO Rony Abovitz talked about those ideas in an interview with Rolling Stone. The breakthrough, according to Abovitz, was that the brain's visual cortex approximates a processor, and that if Magic Leap could render only the parts of a "light field" that the eye is looking at, it could turn it into a headset. Magic Leap lists six main features for its headset on its website, including its display, interface, audio, and sensor technology. Magic Leap's hardware appears to be geared for software makers. Magic Leap said that in "early 2018" that it would open up a software-development kit with tools, documentation, and support for developers. Magic Leap didn't mention a price in Wednesday's announcement, but people close to the company have previously said to expect it to cost between $1,000 and $1,500. Magic Leap is an unusual startup. It's raised $1.9 billion in funding from investors, including Google, Alibaba, and Singapore's Temasek Holdings. And it's based in Florida, not California. Source: Tweedie, Steven and Leswing, Kif. (2017, December 20). “After 6 years and $1.9 billion, secretive startup Magic Leap unveils its smart glasses for first time”. Business Insider.